While many members have a strong interest in taxonomy, others practice wildflower gardening to various degrees and study methods of propagation. Many members have a strong interest in ecology and conservation, and some pair their photographic skills with their fascination with wildflowers. If you have these interests, we invite you to join us in the enjoyment of our botanical treasures. Membership includes access to a variety of field trips throughout Tennessee during the growing season, a print or electronic version of our newsletter, and the camaraderie of like-minded native plant enthusiasts. TNPS holds annual membership meetings / conferences near sites of botanical significance, giving members additional opportunities to meet fellow members and discuss their interests. The two-day annual meetings always include programs about native plants, as well as field trips led by expert field botanists. support for land conservation purchases. 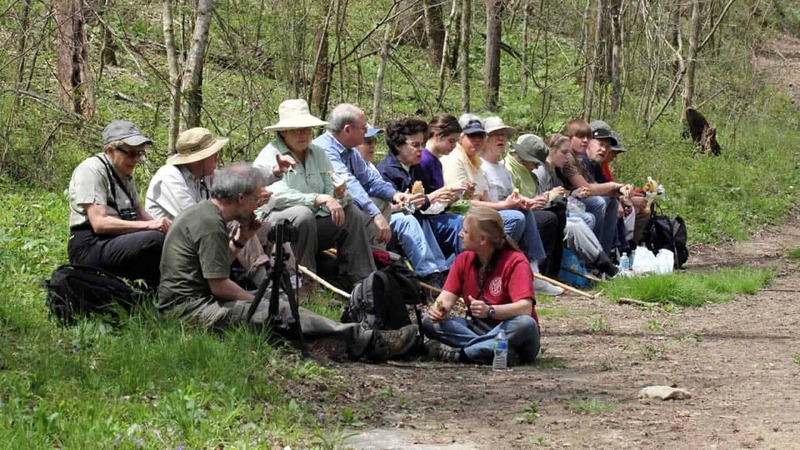 TNPS publishes a quarterly newsletter and sponsors weekend field trips throughout the growing season, providing an opportunity for members and the general public to learn more about the flora of Tennessee. TNPS is a member of Tennessee Conservation Voters, an organization that supports environmentally sound state legislation. Student membership is complimentary and good for four years without renewal. An email address (preferably school-linked) is required for newsletter delivery, plus your expected year of graduation. Please send your information using the Contact Us form. When using the form indicate that the Subject is membership and be sure to enter your graduation year. Or you may make payment by credit card or PayPal using our online form. For address changes between renewal dates, please send an email with your name and address change. Not sure if you’ve paid your dues? Check your newsletter mailing label—the year through which you have paid dues is printed at the top.